University of Lynchburg recently hosted researchers from the Smithsonian Institute who wanted to study of Central Virginia’s native purple fringeless orchid, a rare flower that is the focus of conservation efforts. 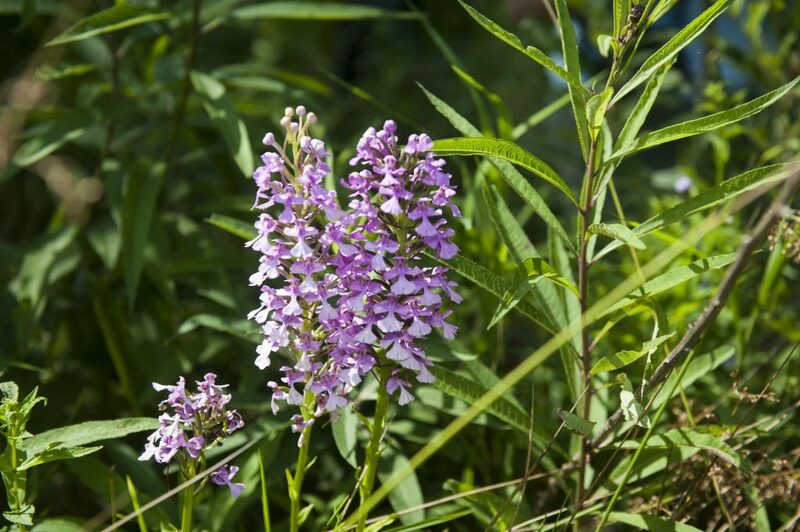 LC’s Claytor Nature Study Center boasts one of the largest known populations of the flower. 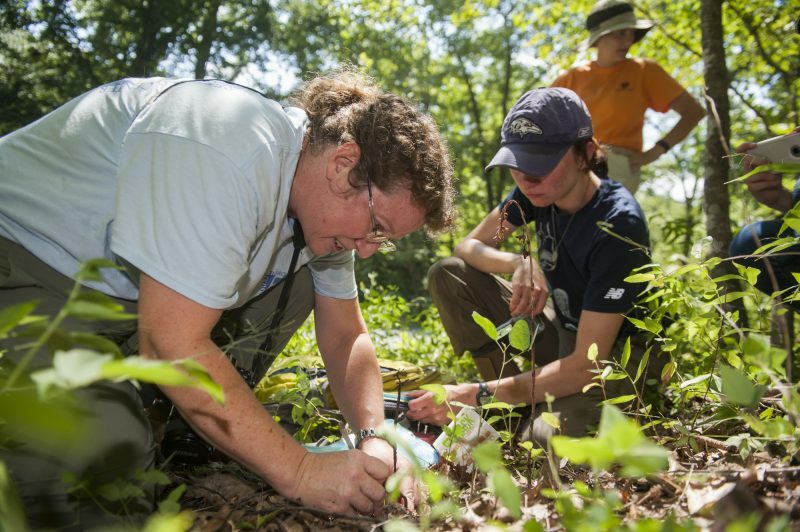 Melissa McCormick, left, and Hope Brooks, researchers from the Smithsonian’s North America Orchid Conservation Center, work on research at LC’s Claytor Nature Study Center. Biology professor Dr. Nancy Cowden led two researchers from the Smithsonian’s North American Orchid Conservation Center to a field where the flowers abound last week. She returned to the site this week with another Smithsonian scientist who wanted additional study. The researchers want to study the orchids’ environment in order to better understand the type of fungi the orchids require for nutrition. Conserving that fungi would help the orchid population increase. Dr. Cowden hopes the relationship with the Smithsonian will blossom into a more formal research arrangement that would help conserve the purple fringeless orchid. Read about the Smithsonian visit in The News & Advance. Orchids are a specialty of Dr. Cowden’s research, and her students get to play a role, too. Last year, two students helped her analyze the types of insects that pollinate the orchids.